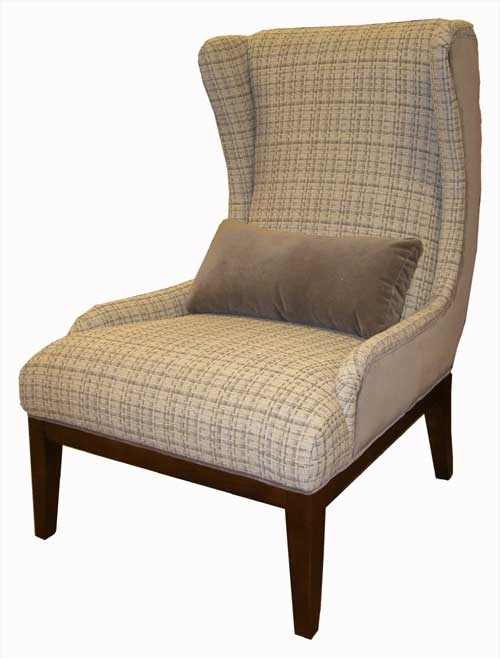 This classic wing chair with contemporary twist is anything but stodgy. The simply shaped wood base offers strong visual and physical support for the fully-proportioned seat. Low-slung arms sweep upward in a gentle arc along the high back. And, maybe best of all, the expansive form gives you a great canvas for playing with pattern, color, and texture.